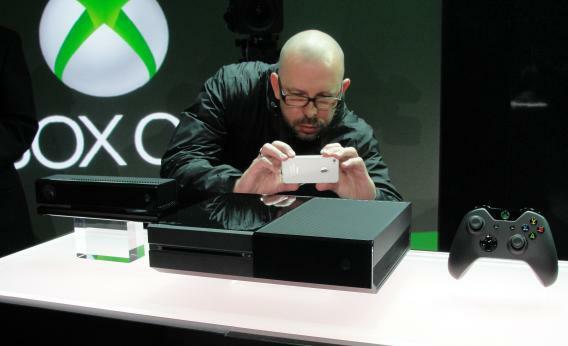 Germany privacy chief Peter Schaar calls Xbox One a "twisted nightmare" for Kinect spying potential. When Microsoft launched its new Xbox One console last week, rave reviews calling it “awesome” and “stunning” were quickly forgotten when gamers began complaining about how the device doesn’t work with their old favorites (among other things). Now Microsoft has a new Xbox-related headache courtesy of Germany’s privacy chief, who is alarmed by its potential intrusive surveillance capabilities. The complaint stems from the latest version of the motion-sensing Kinect technology. The Kinect device designed for the Xbox One can monitor users’ movements with a camera that sees in the dark, picks up voice commands with a microphone, and reads your heart rate using infrared cameras that track blood flow underneath the skin. Because the device is connected to the Internet, malicious hackers could potentially hijack the console and use it for spying. In addition, Microsoft has filed a patent that suggests it is interested in using Kinect to count the number of people in a room in order to charge each person for providing pay-per-user content. The patent outlines how a camera could be used with face and gesture recognition as part of a Kinect-style system to enforce “age and identity restrictions” on certain kinds of content, effectively granting copyright holders virtual access to private dwellings, as Wired described it. Microsoft has attempted to play down the privacy fears, claiming that it is “a leader in the world of privacy” and adding that it is not “using Kinect to snoop on anybody at all.” But this has not convinced officials in Germany. In an interview published Sunday by Der Spiegel, the country’s federal data protection commissioner, Peter Schaar, said he was unsettled by how the Xbox One “records all sorts of personal information” that would be “processed on an external server” and possibly passed on to third parties. “The fact that Microsoft is now spying on my living room is just a twisted nightmare,” Schaar told the newspaper. Some reports have claimed that the microphone and the camera for the Kinect device would be “always on” and “constantly listening and watching.” Microsoft told gaming website Kotaku that this isn’t the case and that “you can turn the system completely off.” The company also says that the new Kinect will have “simple, easy methods to customize privacy settings, provide clear notifications and meaningful privacy choices for how data will be used, stored and shared.” But you can bet that it will take more than these vague assurances to satisfy Germany’s aggressively privacy-protective officials. And if Microsoft fails to substantively address the privacy concerns, it could well find itself facing legal action in Germany—as Facebook has discovered on more than one occasion.